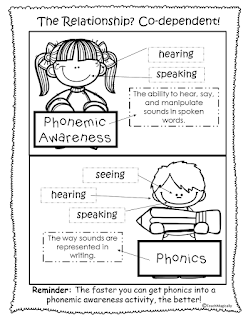 Phonological Awareness, Phonemic Awareness and Phonics, Say What? Phonological Awareness the is big idea! Click here for more info. on Phonological Awareness skills. Some skills are easier that others so more teaching time may be required. What about Phonics and Phonemic Awareness? Phonemic Awareness and Phonics are co-dependent! 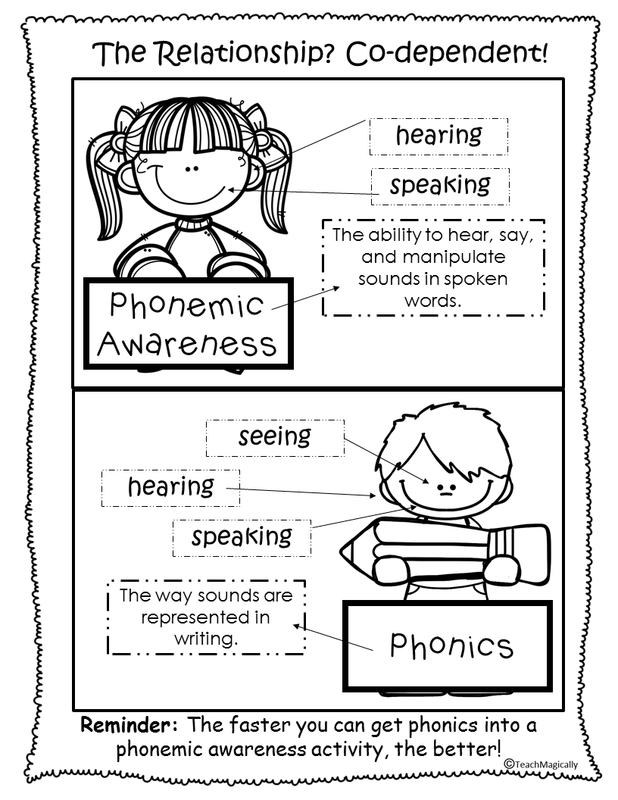 Phonemic awareness is done without any letters. As soon as you add letters, you have moved to phonics. 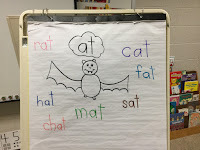 Do phonemic awareness at every chance and add the phonics as soon as letters are learned. Don't wait until all letters are known. First we practiced orally! Each day for 2-3 minutes, I would say the 2 sounds (onset-rime) and the students would clap the word. Once a few letters where know we started a chart. Eventually we added more to make an anchor chart by adding letters to match the sounds we said! Oh yeah! Phonics! 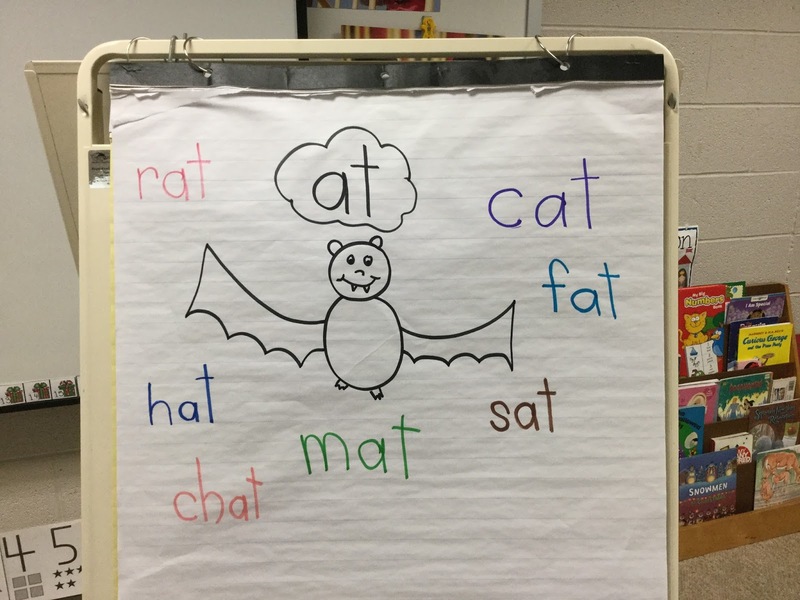 Eventually, students could practice reading the words independently or they would find the word after we blended it as a class! (Great way to focus on beginning sounds!) Oh yeah FUN! Here is a video I posted to @Seesaw to help the parents understand what we are doing and to provide more practice at home! Oh Yeah PRACTICE! Hi! We are just starting Seesaw and love how you are using it here! Oh, Gloria, you will love Seesaw! Love it! Thank you for sharing your idea!